Inheriting a pair of Purdeys or a grouse moor? That would certainly delight most keen Shots. But wearing great-grandfather’s old tweeds? Not so much. Moths will have done their worst, the state of the lining may leave much to be desired and in any case the whole effect will be hideously dated. 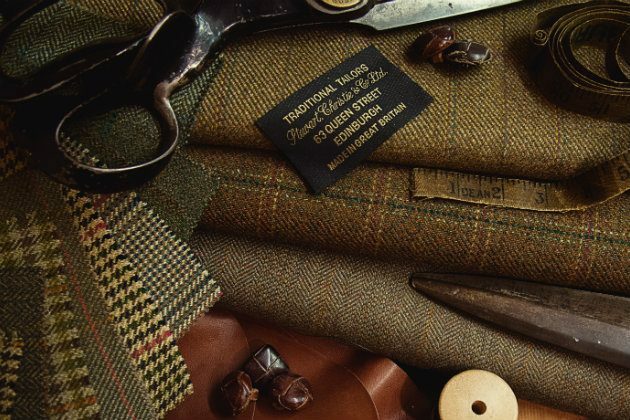 If you’re after luxury, style and comfort (not to mention envious and admiring glances when you’re out in the field), then you need to get yourself to a master tailor and have a set of bespoke shooting tweeds made for you. Breeks, waistcoat, gilet, jacket and a shooting coat or cape. There’s nothing like experiencing the thrill of selecting the cloth, the trimming, the linings – and knowing that you’ll be clad in a garment that fits you exactly. You can ask for pockets to be put where you wish and of a size that fits whatever you want to hold. An expert master tailor who understands shooting garb will also know how to fit a shooting jacket so that you can swing the gun with ease. Even if you don’t have the physique of David Gandy, a clever cutter will make it look as though you’re not far off – enhancing your best features and disguising those you’d rather forget. Added to which you’ll get that quiet secret confidence which comes from knowing that your bespoke garb will pass muster when inspected by the most critical and traditionally-minded Gun. That first visit to a tailor is a rite of passage, where you meet an expert who will look you up and down and know at a glance how to transform you into a perfectly dressed shooter. Expect your subsequent fittings (because you’ll probably have three or even four) to heighten the anticipation until finally the day comes when you depart clutching a sartorial creation perfectly formed to you. In fact, why stop at one suit? Far smarter (and extremely practical) to choose lightweight tweeds for early and late in the season and then something a little warmer to face those bleak winter winds. We asked some keen Shots who they would recommend for top-of-the-range bespoke tailoring and after careful consultation, we have created the following prestigious list (in no particular order). First-time customers can expect a minimum of three visits to this historic tailor. The first is for taking measurements, choosing cloth and deciding on the style of garments. Follow-up visits ensure a perfect fit. Around twelve weeks later the final, finished garment is complete. 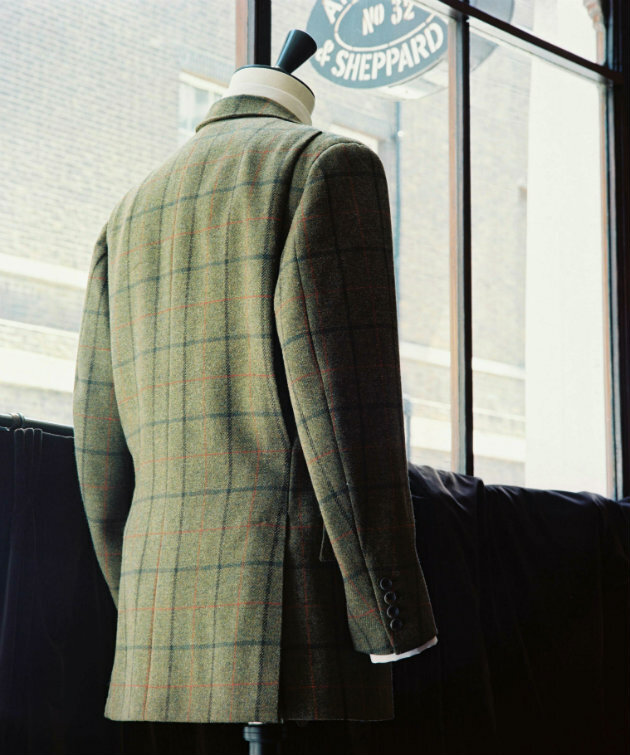 Wearing Anderson & Sheppard means you’re dressing like royalty – they hold the Royal Warrant for the Prince of Wales. What joy to actually walk into Savile Row, knowing that you are going to have a suit made here. Established in 1849, Huntsman was and still is a tailor to royalty, with royal warrants festooning the walls. 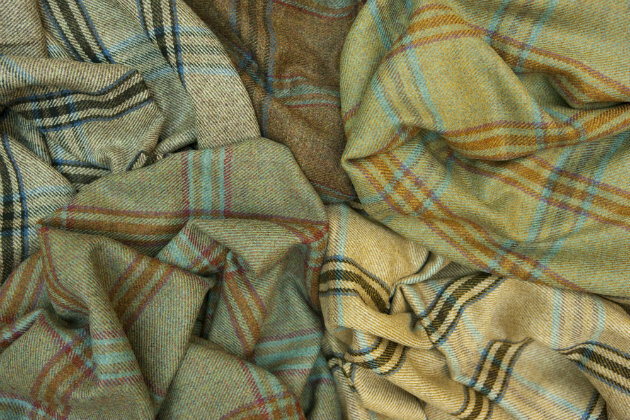 The selection of tweeds on offer is mouthwatering and if that’s not enough, you can design your own signature tweed. The eponymous owner learned his trade during the swinging sixties, which he calls: “the tail-end of the glory days of UK manufacturing”. However, the exacting Mr Saxby has put together his own talented team and takes control of every stitch in every garment. He claims that his head cutter has: “… more experience cutting tweed jackets than anyone else in the UK.” Useful locations too. There’s a David Saxby in Fulham for London types and elegant Harrogate for those in the north. This Scottish house has been tailoring tweeds since 1858 and has dressed many an estate keeper and ghillie. Don’t expect anything in a hurry. 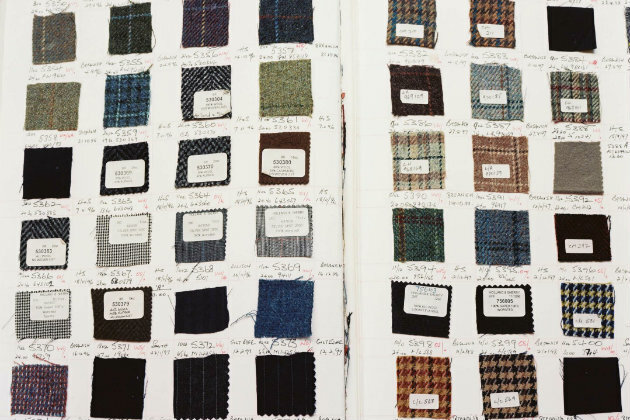 A bespoke suit from Campbell’s of Beauly can take up to three months to create and a jacket will generally use up to 50 different pieces of fabric. Patience, patience. It will all be worth it. Cumbria has a rich sporting tradition and the incumbent Michael W. Redmayne’s great-great grandfather Samuel Redmayne established his tailoring workroom in Wigton in 1868. “The comfort gained from wearing hand canvassed garments has to be experienced to be believed” says Michael. Redmayne will travel from their workroom to your home or office to take your fittings, if you’re pushed for time. 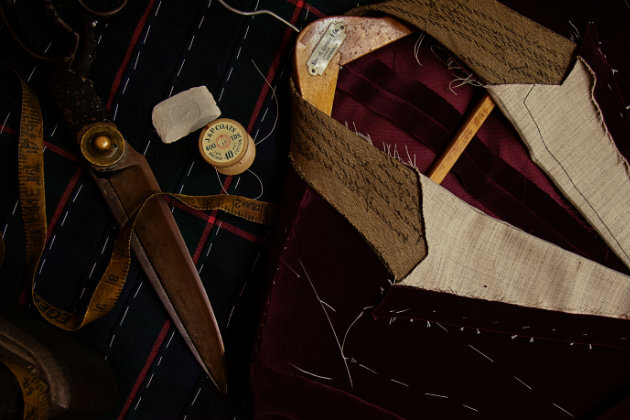 Bonnie Prince Charlie was born in 1720 and Stewart Christie & Co was founded in the same year, making it the oldest bespoke tailor in Scotland. It’s also the second oldest business in Edinburgh and they’ve long since dressed the owners of Scottish family estates, so they know exactly the requirements for sporting tweeds. What do Guns say about bespoke tweeds? We asked a few stylish Guns of our acquaintance, who are devoted to wearing bespoke tweeds, what the difference is between bespoke and off the peg. As a gentlemen never reveals the name of his tailor, they have to remain anonymous, but here is what they said.